Megan graduated from University of Maryland, College Park with a Bachelor of Science in Kinesiology degree in 2014. 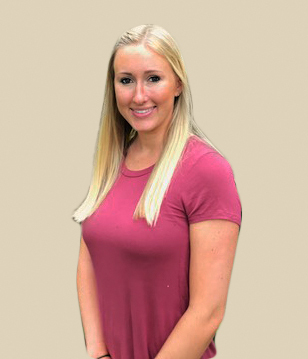 She graduated from ECPI University in Richmond, VA with a Physical Therapist Assistant degree in 2018. Megan played competitive soccer starting at a young age and has always had a passion for health and fitness. This sparked her interest in physical therapy and she loves working with sport-related injuries. She would also like to earn her certification as a yoga teacher in the future. In her spare time, Megan enjoys doing yoga, cycling, wakeboarding, relaxing on the beach, trying new restaurants, and spending time with her friends and family. Megan works in our Piedmont Center Plaza location Monday through Friday.